Coming back from vacation meant time to go back to healthy eating again. It’s not as easy as it seems. So many of us say that we’re going to eat “so healthy from now on” only to realize that sometimes our schedules can really get in the way. This past Wednesday my roommates and I started getting a BIG bag of organic fruits and vegetables from Fresh City Farms. We signed up for a Large Fruit and Veggie bag to receive every Wednesday. Not only is this very convenient to have it delivered right to our door, but it’s also fresh. This really forces us to eat healthy and use the ingredients within the week before we get the next bag. Personally, I find this bag to be a nice challenge for myself to see what I can create with this bag. I think of it as my “chopped bag challenge” from my favourite show Chopped. 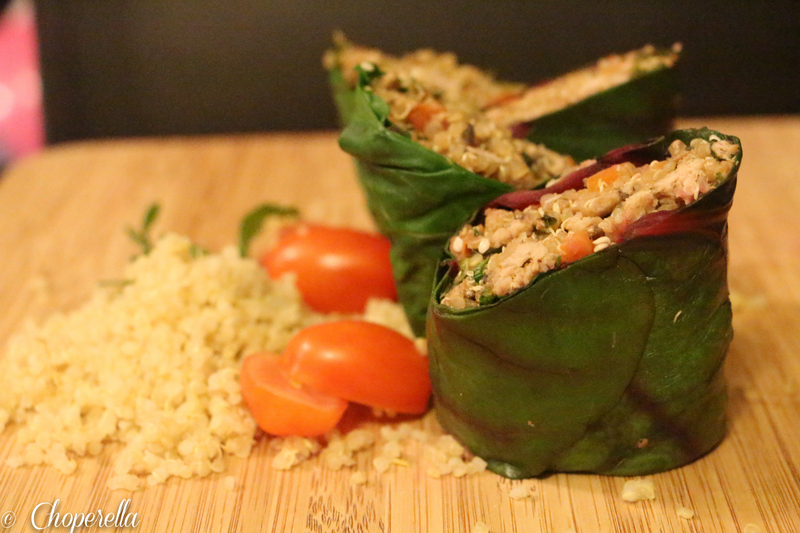 This week I came up with these delicious Swiss Chard Rolls stuffed with Turkey and Quinoa. They’re versatile, you can have them warm or cold, for lunch, dinner or a nice snack. However you eat them, they’re so damn healthy and so damn good. One bunch makes as many rolls as there are leaves. Swiss Chard was the “leafy green” from the bag. I also used the grape tomatoes, shallots and garlic from the bag. Everything else was either in the fridge or pantry already. 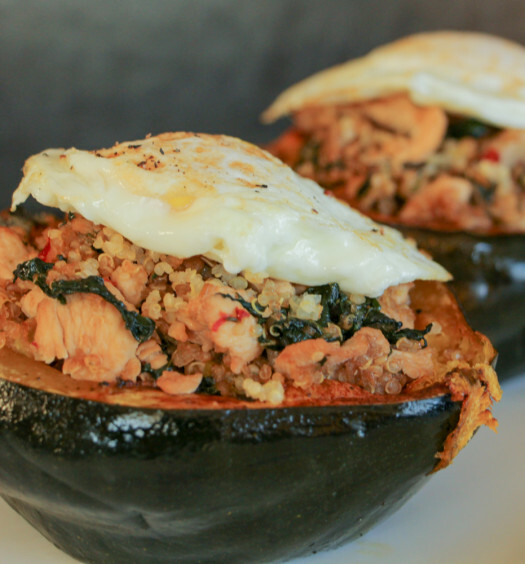 If you’re looking for an easy lunch for the week, this is a great one. 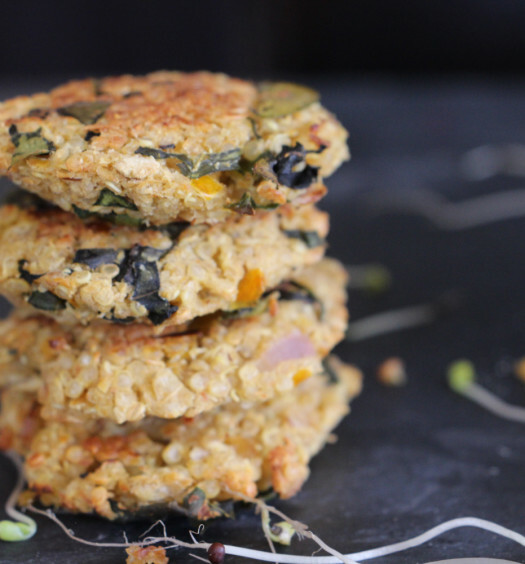 It’s gluten free, full of protein and veggies, iron and flavour. You’ll definitely show up you’re co-workers with this one! 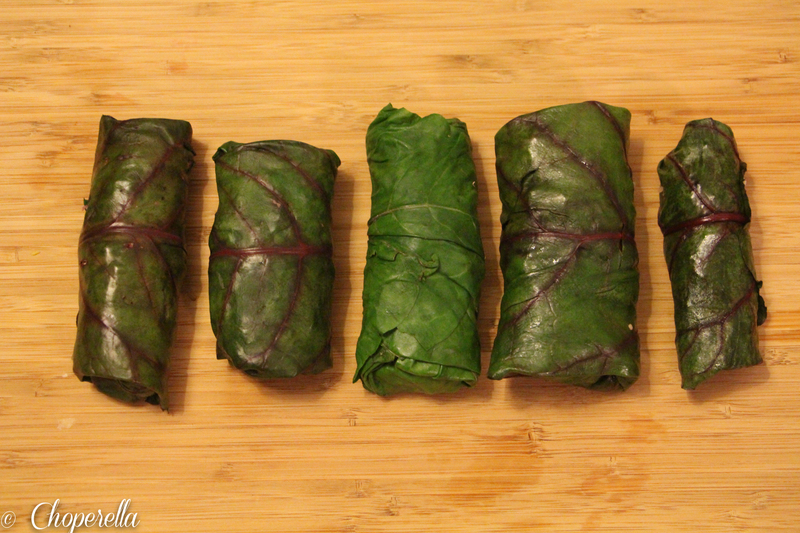 Swiss Chard rolls from Choperella on Vimeo. 1. Start with the stuffing. Heat a pan on Medium heat and heat the oil. Once the oil is hot, add the diced shallots. When the shallots are soft add the garlic and sauté. Your kitchen now smells amazing. 2. Add the diced carrots and mushrooms to the pan. Cook until tender. 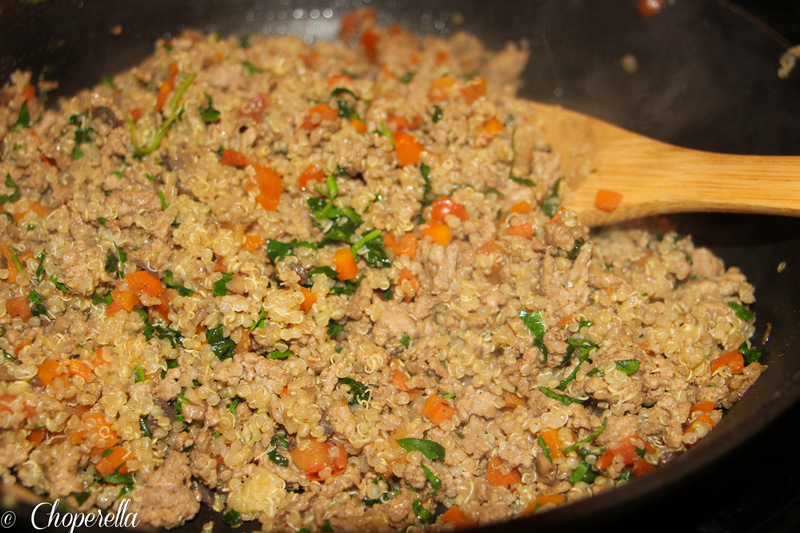 Add the ground turkey and break apart with your spoon. I use a potato masher or a whisk for this when I don’t want it too chunky. 3. When the Turkey is fully cooked add the balsamic vinegar and spinach. The spinach should start wilting. Add the cooked quinoa as well as the salt, hot sauce and oregano. Toss to combine. Taste the stuffing, and season to taste. I like the zing from the balsamic but feel free to add more, less or omit. At the end of cooking, add fresh chopped parsley to finish. 4. Cool the stuffing to room temperature. 5. In the mean time, bring a pot of water to simmer. and cut the stems off the swiss card leaves. Lay out a clean dish fowl on your counter. When the water is simmering, using tongs (no steam burns!) place one leaf in the water for 20 seconds to blanch them. Lay out gently on your dishcloth, stem side UP and careful not to rip the leaf. Repeat with each leaf. 6. Once your filling is cooled, and all your leaves are blanched and dried, it rolling time. Place 1/4 cup of the filling closer to the bigger side of the leaf. Shape it into a small log so it’s easier to roll. 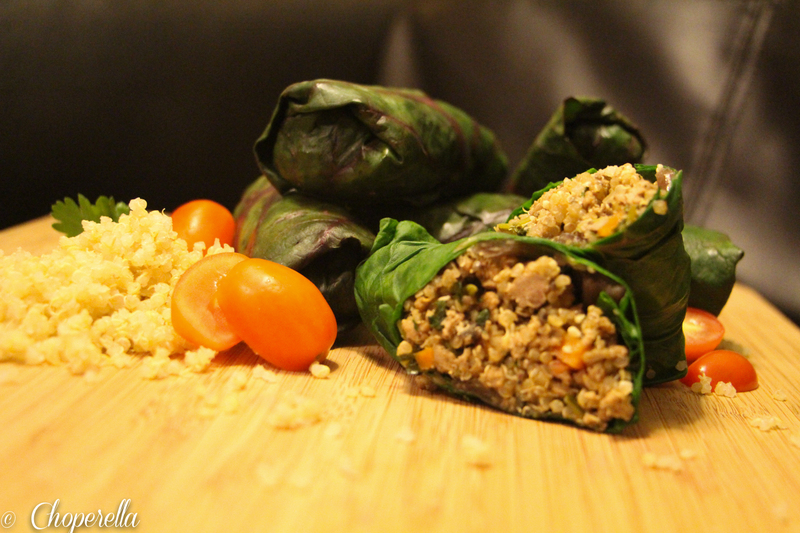 Fold over the sides of the leaf and then from the end closest to your stomach, start to gently roll the leaf over the stuffing until you reach the end of the leaf. 7. See the images above and watch the video to see me rollin’. Serve cold or room temperature. To store, place in an airtight container wrapped in paper towels. Now go make your people envious with your yummy, healthy, filling, gluten free, nutritious rolls!